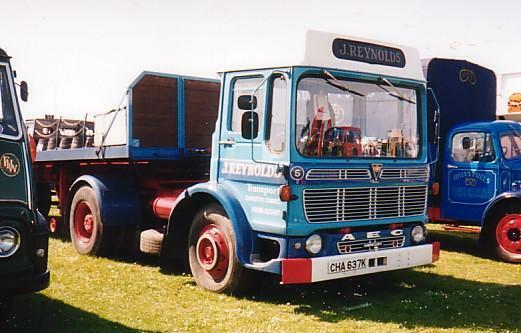 AEC - What's in a badge? It was Christmas Eve in the early '80s, about 7.00pm and I was travelling to Kent by car to spend Christmas with my late sister and family. As I travelled along a fairly quiet M1 I caught up with an elderly AEC Mercury running empty. By then of course, AECs had not been made for about 5 years, but this was on a 'K' plate, making it at least 10 years old. Its driver was not hanging about either, pushing the old girl along at a steady 65 mph. He signalled to go into a services area and I followed him in. He did not bother driving to the lorry park, but got as close to the shop as he could.By the time I had parked, he had bought a snack from the shop and was about to open his cab door when I briefly said to him "it's a bit late to be out with an AEC on Christmas Eve" "yes" he replied, "we're a family firm of produce growers and merchants from the Canterbury area, and an urgent load came on for Liverpool market. 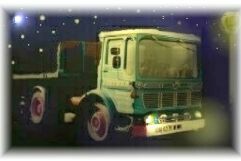 We've a couple of newer lorries that are not AECs, but with it being Christmas I wanted to be sure of getting home, so I took the Mercury". That to me said it all, and with that he set off again. I thought, yes, he will make it home because he's driving an AEC. Since then I always remember that incident at Christmas and wonder if that AEC Mercury survived into preservation. I somehow think that it did.